Have you noticed something different about the Hard Candy bottles? No rings and more selections! I know you all seen this sneak peek from the Hard Candy Event. Can you believe that there are 45 new shades now!! There are now five collections with nine unique shades. Luxurious and timeless hues embellished with a golden textured finish. This collection boasts refinement and sophistication and is infused with a vivacious luster. Intense, illuminating, and incandescent hues saturated with the richest and most extreme mica and glitter. Inspired from the runway and now at your fingertips. The combination of confident opposites and intimate tonalities mixed with the right amount of sparkle creates enthusiasm for the vitality of life. The hues are natural and are becoming more evolved and colored. Tasteful tones with all the personality to satisfy every trend setter. A unique collection based on artistic expression. Flourishing, adventurous, full coverage shades with various particle sizes and creative textures. Graffiti is revolutionary; it’s an outlet to create public art. Now take this artistic and creative expression to your nails. 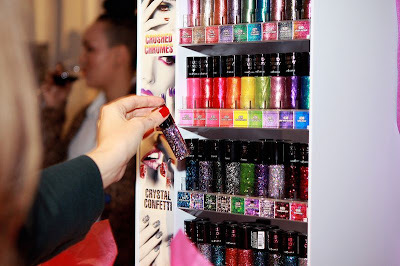 Suspended in a clear top coat, shimmery flecks sparkle brilliantly with different shapes of shiny glitter. 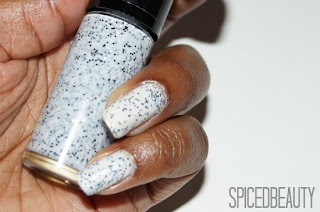 Candy Sprinkles is a fabulous top coat over any color. Which polish is your favourite? 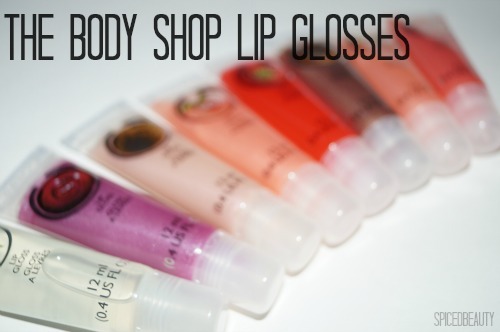 New goodies are out at The Body Shop! They're colourful and smell so yummy! 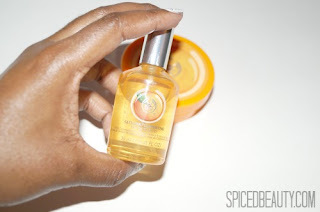 I'm a huge fan of body butters so I'm extremely excited that I can now spritz on my fave scent. Simply spritz on your pulse points for a targeted burst of light and wearable scent($14 each). Satsuma is my favourite scent right now! Smells like a zingy sweet orange. Before I go to work I spray it on my shirt and I swear eight hours after I still smell it. 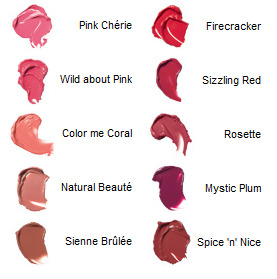 There are 11 super-glossy, mouth-watering shades to choose from, each with a succulent fruity flavour to lift your mood. I love having a gloss that smells true to it's scent. As you can see above some of the glosses have a slight shimmer and some are just a gloss. 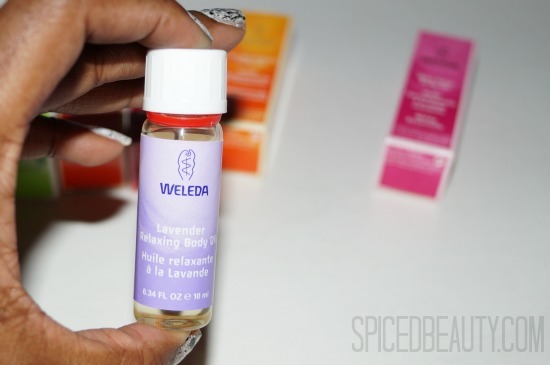 Current Obsession: Weleda Body Oil Starter Kit! There are so many health benefits in body oils. They offer calming effects, restore skin balance and soothe muscles. 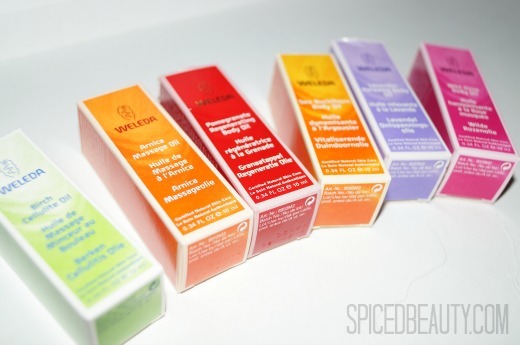 I recently had the opportunity to try out some Weleda Body Oil from their starter kit. If you don't know what oils would work for you I'd advise you to try out this kit ($15.99 US). To get you started we’ve put together a conveniently sized sample of our luscious body oils. 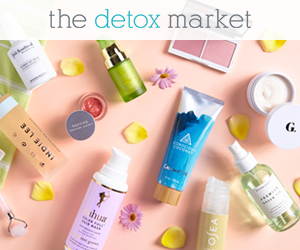 Whether you have dry skin, need a relaxing or pampering massage, want to restore your skin’s vitality or just delight your senses, this is the kit for you. while your skin is still damp, to lock in moisture." You get six oils which are each 0.34 fl. oz. Tired, aching muscles get immediate relief with this nourishing oil. It’s a soothing natural beauty treatment that deeply nourishes your skin as your body and mind relax. Your tired body and spirit find soothing care with our most relaxing oil. It’s a calming blend that restores essential moisture balance to soften your skin and melt away the stresses of your day. Thirsty, tired skin in need of intensive replenishment gets nutrient-rich moisture with this revitalizing oil. It’s a replenishing full-body treatment packed with antioxidants and vitamins to nurture and protect your skin’s radiant health, particularly after exposure to the sun. Aging and tired skin is revitalized by the renewing Pomegranate Body Oil. This natural oil moisturizer is a nourishing full-body treatment that regulates moisture balance and restores your natural vitality with potent antioxidants and essential fatty acids. All the oils were great but lavender is my favourite. If you are ever anxious or stressed, lavender is extremely calming. 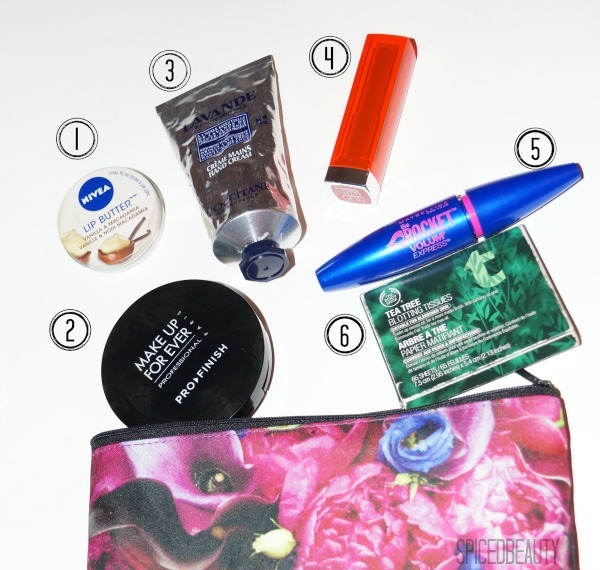 This size is perfect push into your purse or makeup bag. Just dap it on your wrist and breathe it in and exhale it out. Have you ever tried any of these oils? 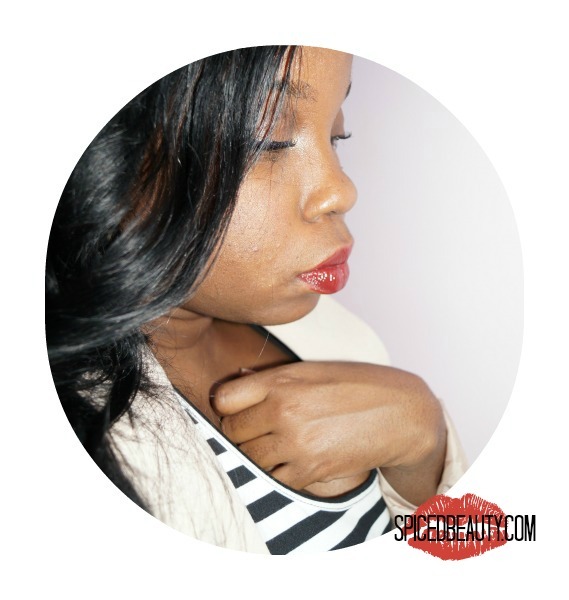 Remember my Maybelline Color Sensational® Vivids Lipstick post? 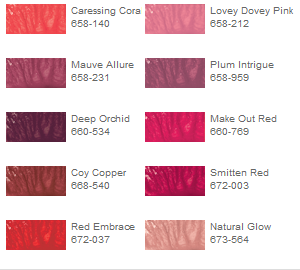 An overwhelming about of ladies loved Vivid Rose and some asked if I was do a lip swatch. 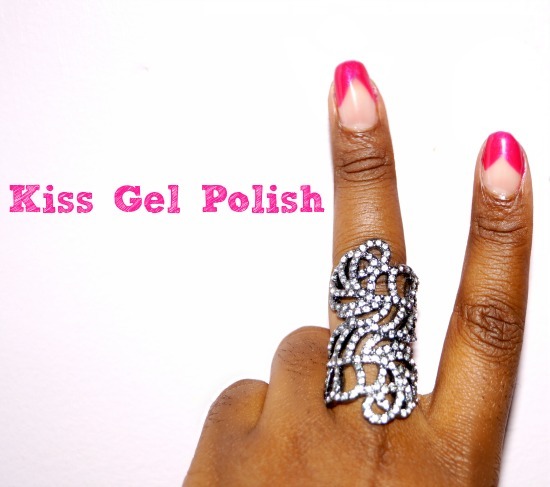 Ladies, if you're looking for a affordable gel system check out the Kiss Everlasting Gel! This is the perfect alternative for ladies who are trying to save money this year. Think about it getting gel nails at the salon costs $40+ and that's not including tax & tip. 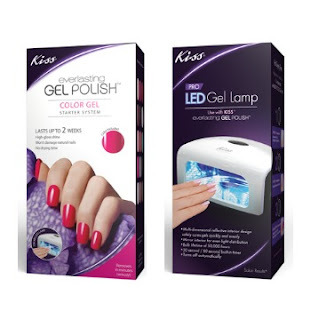 For the cost of one trip you can get the Kiss® Everlasting Gel Polish Colour Gel Starter System ($29.97) + LED Gel Lamp ($34.47)! If that doesn't sway you.. did you know that you can layer the gels to make simple nail art!! Don't quote me on it but look at the cute "design" I did below. I got several compliments on it and I really surprised people when I said it I did it on my own with a gel polish. I can't wait to try out more designs! For reference I used the gels Lush & Ballet. Perfect combo! 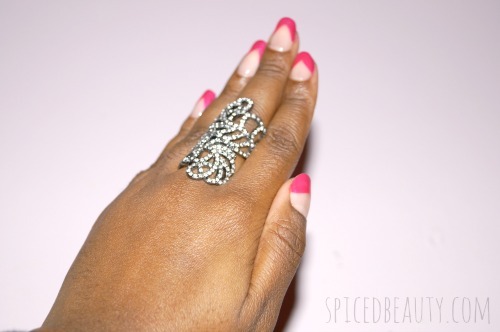 Are you a fan of gel polishes? I hope everyone had a great Valentine`s Day! After taking to a few ladies on twitter, I noticed that some people are waiting for Friday & Saturday to have a date night. I decided to do the same and thought it would be cool to share my makeup bag. This is not my daily bag. This is just a small bag for when I`m gone out for a few hours. 1. NIVEA Lip Butter in Vanilla & Macademia. This is the perfect product to put on before you put on your lipstick. If you`re not into colour, wear it alone. 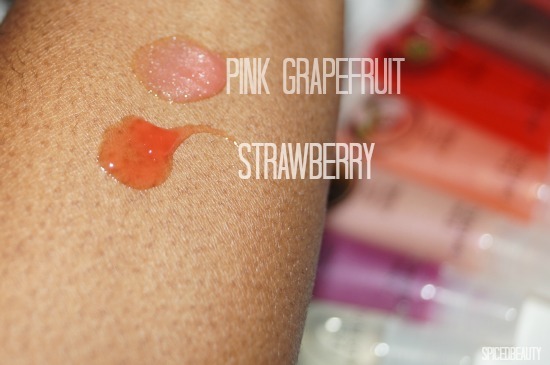 It has with Shea Butter and Almond Oil to keep your lips super soft. If I need to touch up. This is all I need. 3. L`occitane Lavender Hand Cream The scent of lavender makes me calm. Plus this cream is amazing. 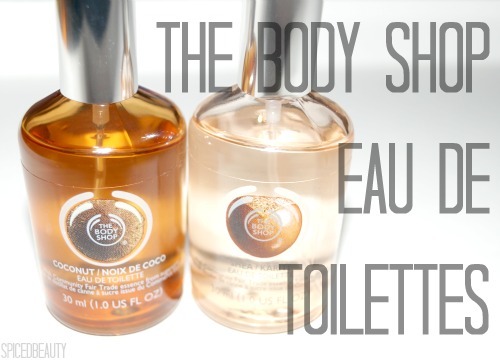 It`s also enriched with shea butter and lavender essential oil from Haute-Provence. Perfect vivid red for a night out. I hardly need a mascara touch up but If I do this is my go to mascara. I keep these handy to soak up my oily t-zone. Since they are made with tea tree oil it will control my blemishes. 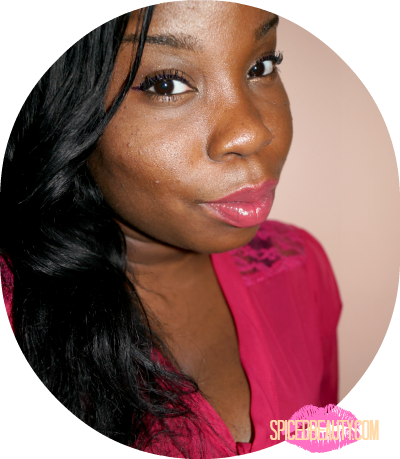 Day three of my Valentine's day lip inspiration posts! I kind of stepped out of the box with this one. 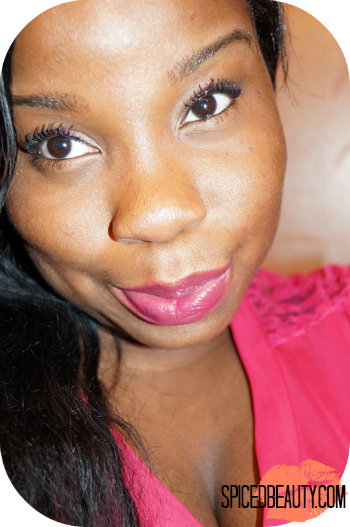 Today's lip is from Totally Kissable Lipstick line called Caressing Coral! Kiss other lipsticks good-bye! • Say hello to petal-soft lips. • Full coverage conditioning color infused with fruit enzymes and a blend of natural oils for lips that look fuller, softer and smoother. $9.99 CAN. I don't have many coral lipsticks. I think that some look weird on my skin tone but I loved this one! I don't know if it was my shirt but I'm a fan of the overall look. 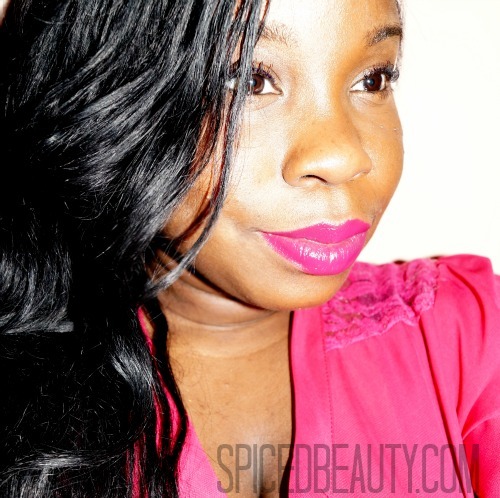 Another great lippy for v-day! Do you like coral lipsticks? Mary Kay True Dimensions Lipsticks! 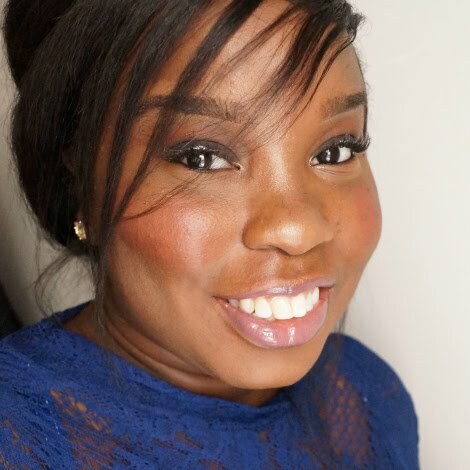 I'm posting my favourite lip inspirations up until Valentine's day! 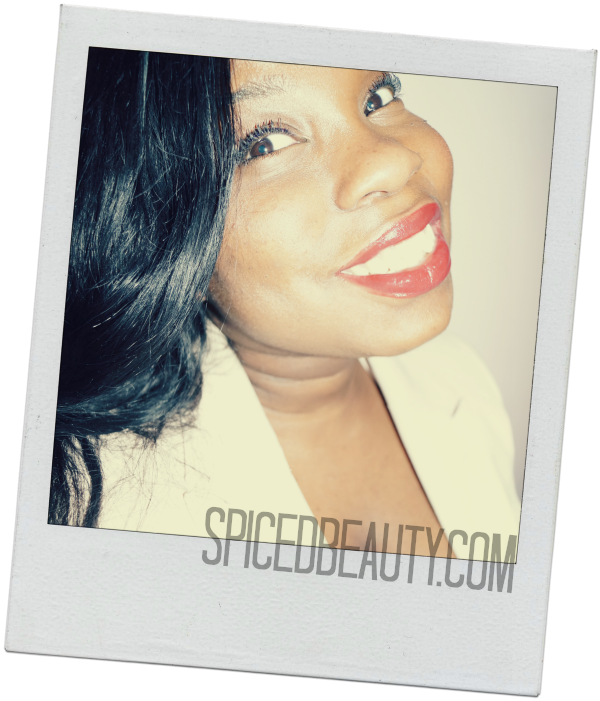 Today's lip is from the Mary Kay True Dimensions line called Spice 'n' Nice! These flirty, feminine shades beg to be adored while showing off your charming side. 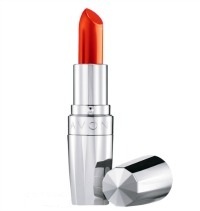 Dangerously smooth and delightfully tempting, this lip-loving lipstick provides colour-infused luxury for your lips. The buttery-smooth-feeling formula melts onto lips, instantly drenching them in moisture and locking it in. Infused with advanced skin care ingredients, the formula smooths the appearance of fine lines and helps lips look fuller. Just a push of the clear, click-button top releases pure, radiant colour from its ultrastylish case. $19.00 CAN. These lipsticks live up to their name! They glide on like butter and are quite long lasting! As you can see Spice 'n' Nice looks totally different with a flash. Quite a pleasant surprise! I love it even more! Do you like this lip colour? 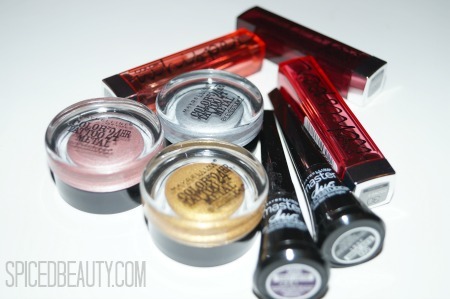 I recently received some great Maybelline products. 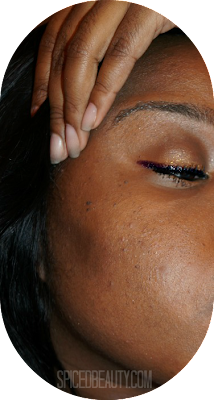 Instead of doing individual reviews, I decided why not do a makeup look with them! This look was done just in time for Valentine's day! I decided to stray away from the traditional soft colors like pinks on the lid and try something different. I used some of the new 2013 releases to create a simple look! With the tip of my finger, I dabbed Gold Rush on my lower lid. Truly translucent gel-color with pure color pigments suspended in a weightless gel. I'm currently in love with the Color Whisper lip colours! They're so moisturizing and pigmented! What colors will you be wearing for Valentine's Day? 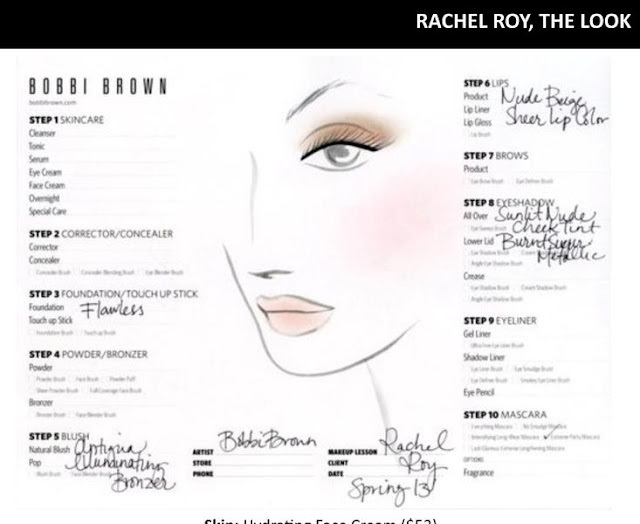 I had to share a past Bobbi Brown's NYFW look for Rachel Roy. 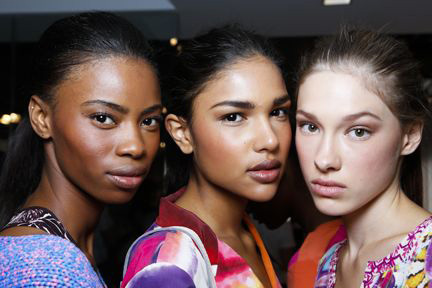 I know that this show was a while ago but I can't get over how amazing their skin looks!! I need that foundation ASAP! 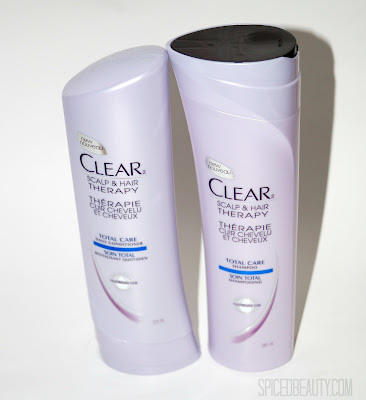 Have you heard of the Clear Scalp & Hair Therapy line? Just as good soil is to a tree, a well nourished scalp is the right foundation for strong, beautiful hair. For years women have been treating the wrong end of their hair. CLEAR SCALP & HAIR BEAUTY THERAPY™ made with Nutrium 10™, nourishes the scalp, creating the right foundation for strong, beautiful hair. I find that a lot of people neglect their scalp! It's sounds funny but it's true. A moisturized scalp = healthy hair! Did you know that if you use their shampoo and conditioners for 7 days you will have stronger hair! Are you up for the challenge Canadians?